I heard about Anne Girard’s new novel Madame Picasso (Mira Books, August 2014) and made sure it was packed in my carry-on bag when I boarded my recent plane to Paris. The cover is gorgeous and the book is that luxurious kind of trade paperback that feels soft and good in your hands. Madame Picasso is the story of Pablo Picasso’s love affair with Eva Gouel from 1911 until her tragic death in 1915. Picasso had many other lovers, muses and wives over the course of his long life (1881-1973), but Eva Gouel can show us a side of the young Picasso we might never have known. I began marking up the pages and taking notes of all the scenes from the book, eager to walk in Pablo and Eva’s footsteps through Paris. It’s a walk that will take you from one end of Paris to the other, from the top of Montmartre all the way across the Seine to the center of Montparnasse. I walked it all on a beautiful fall day in September. When I was done, I was exhausted, inspired and very thirsty. 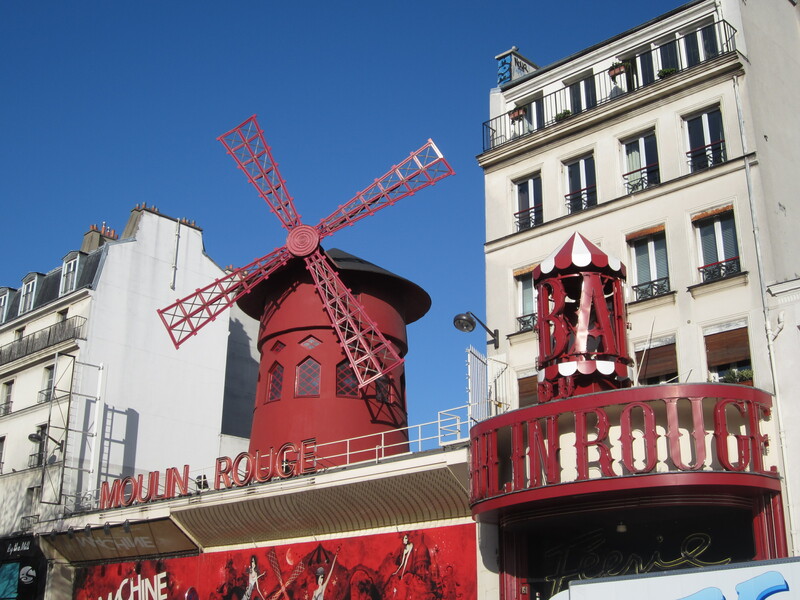 Madame Picasso begins at the Moulin Rouge in Paris. Eva Gouel arrives from her family’s home in the outskirts of Paris and is lucky and talented enough to get a job as a seamstress. Eva is well on her way to becoming a costume designer, but fate interrupts. Pablo Picasso comes to the Moulin Rouge one night and notices the pretty girl working behind the scenes. When Picasso and Eva first meet, he is already involved with his long-term mistress Fernande Olivier. 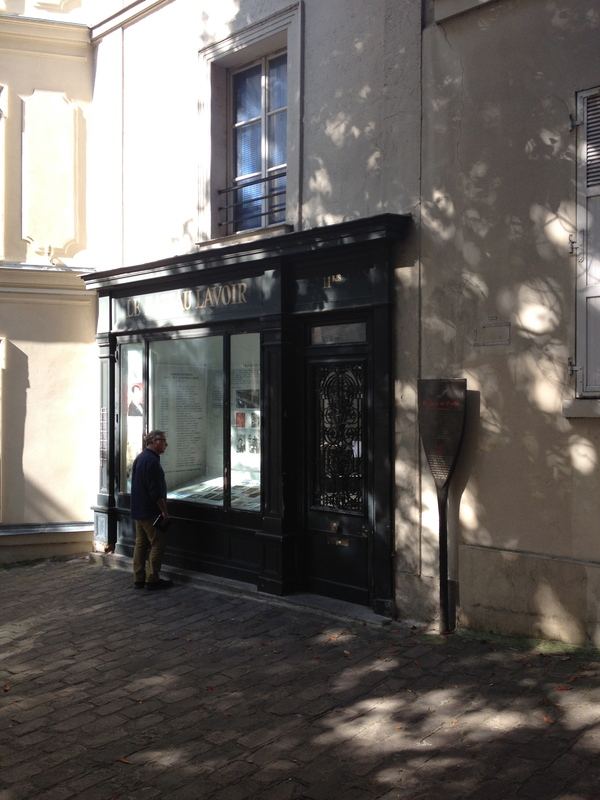 He has a studio in the run-down Bateau-Lavoir in Montmartrre. The studios got their famous nickname from the artist Max Jacob, who thought they were so rickety that they rocked like a houseboat on the Seine. Once Picasso had some success, he moved out, but still kept a studio there to keep up with his artist friends and have a little privacy with his models. 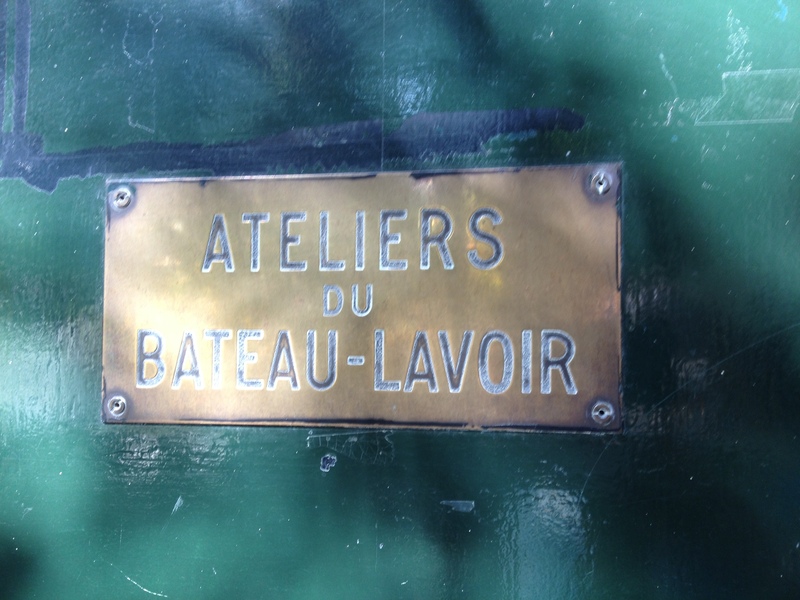 There is a little piece left of Bateau-Lavoir that you can still see today. 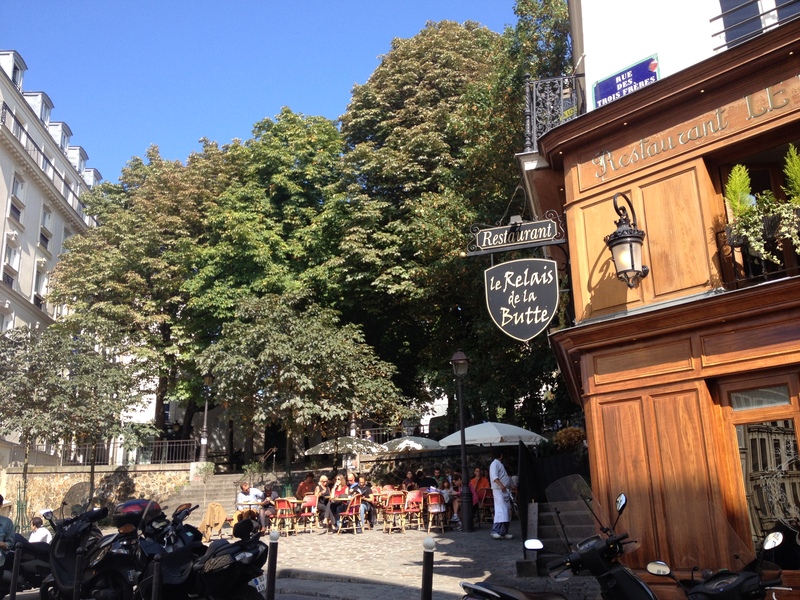 It’s located near the top of Montmartre in place Goudreau. The plaque on what is left of the old Bateau-Lavoir located at No. 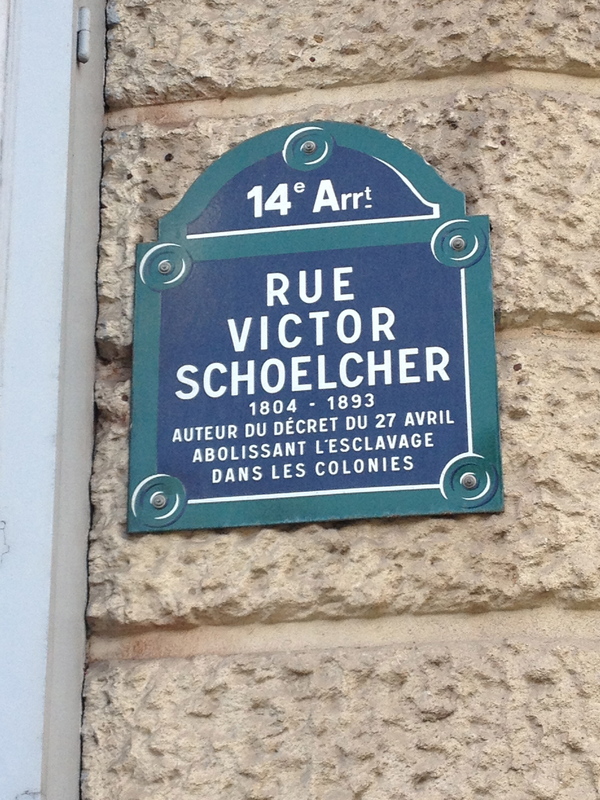 13 rue Ravignan at Place Emile Goudeau. A fire destroyed most of the building in the 1970s, leaving only the façade. The historical marker at Bateau-Lavoir tells the story of the old piano factory that was turned into art studios in 1889. This was where Picasso spent the end of his blue period, as well as his rose period with his lover Fernande. 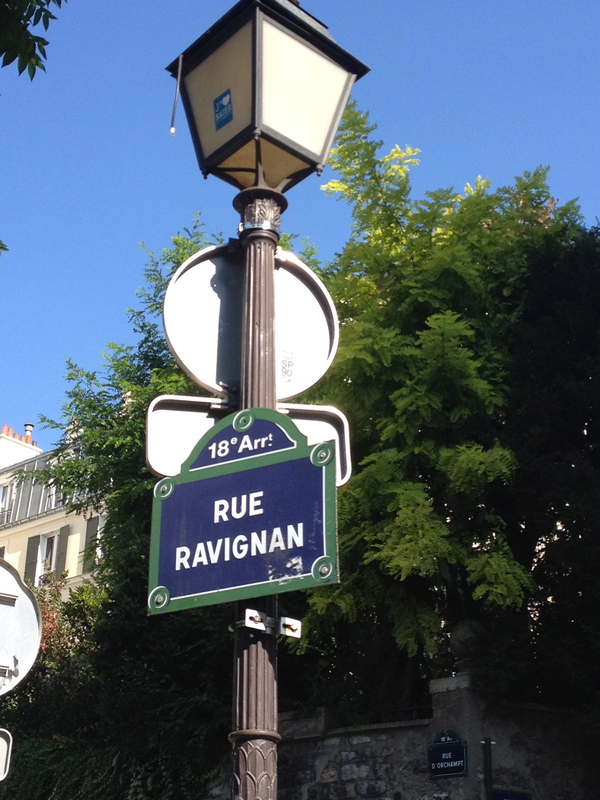 rue Ravignan is now a lovely little street near the top of the hill of Montmartre. Place Emile Goudeau from below the steps, in front of La Relais de la Butte, a great place to catch a café or a beer in the sun. 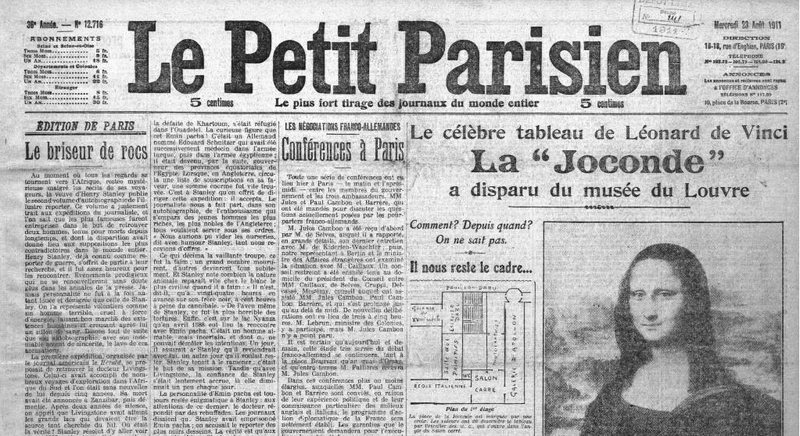 Picasso had been living in Paris since 1901, and by 1911, he was sufficiently on the rise that he and his lover Fernande Olivier could afford a nice apartment on avenue Clichy. To get there from the Bateau-Lavoir, all you have to do is keep walking down the butte of Montmartre, across the bridge that spans over the Montmartre Cemetery, down to place de Clichy and past the Blanche Métro stop. It’s now a bustling, somewhat seedy area, but back in their day, it was considered very nice. 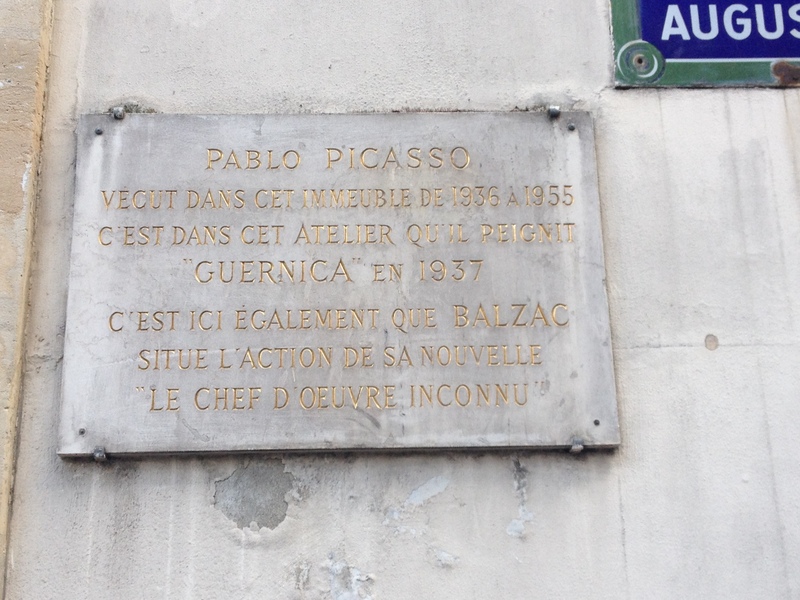 In 1911, Picasso lived near place de Clichy, not far from the Moulin Rouge where he met Eva. 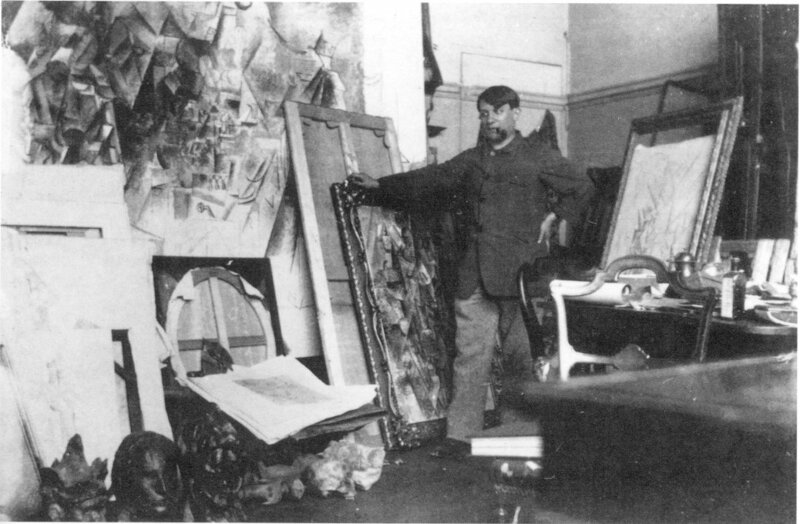 Pablo Picasso in his boulevard Clichy apartment he shared with Fernande Olivier. 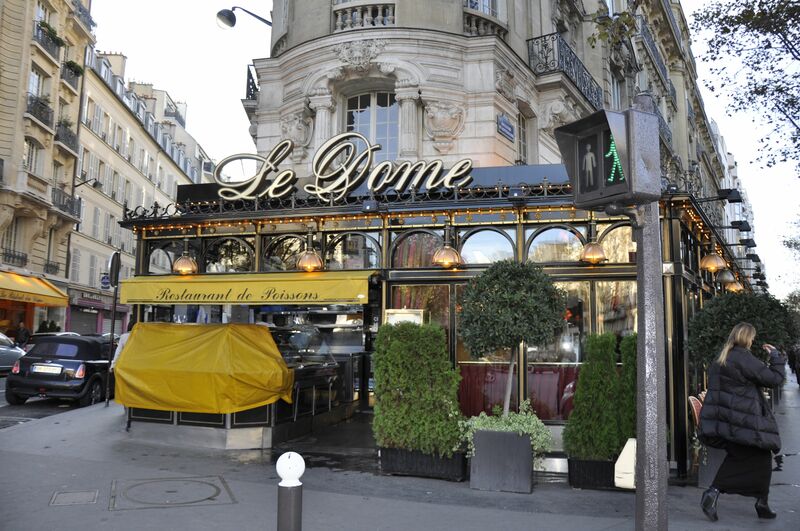 In the novel, a mutual friend introduces Eva Gouel to Fernande Olivier at the Dome in Montparnasse. To Eva’s surprise, Fernande calls herself “Madame Picasso” although Picasso and Fernande are not married. Eva is drawn into Fernande’s social circle and tries to avoid a love triangle with Picasso. But of course she can’t. 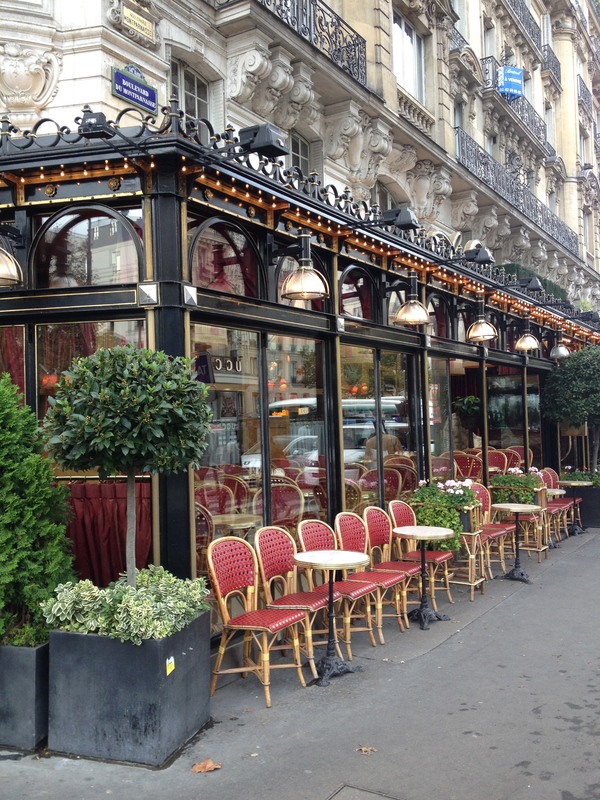 You can almost picture Fernande and Eva chatting over un verre du vin at these café tables outside Le Dome. 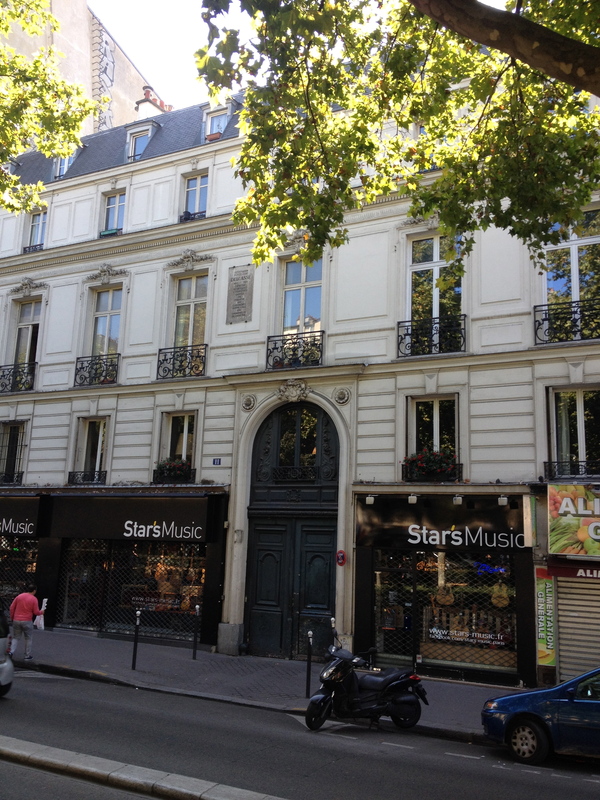 Eva, Picasso and Fernande meet again at Gertrude Stein’s Saturday night salon at 27 rue de Fleurus on the Left Bank. Eva and Picasso find that their initial attraction is undeniable, despite his relationship with Fernande. They make plans to meet again. 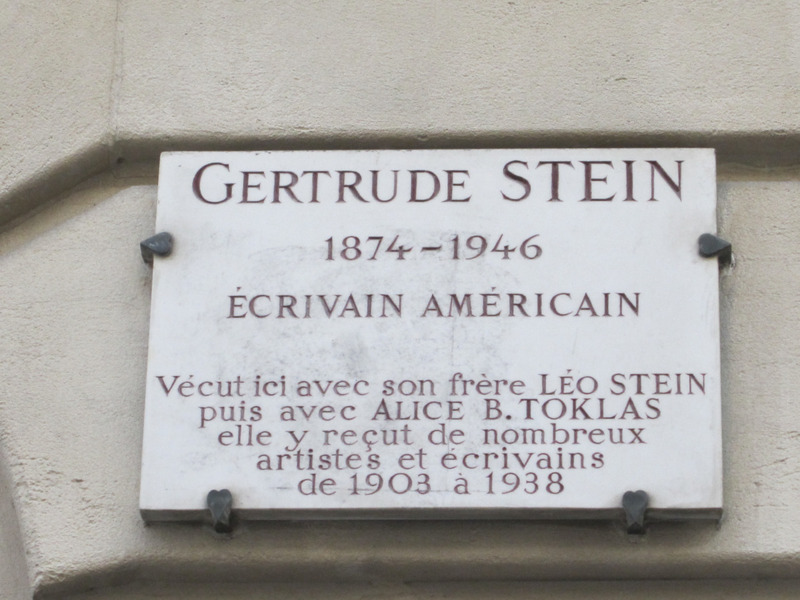 Gertrude Stein’s apartment still stands at 27 rue de Fleurus. 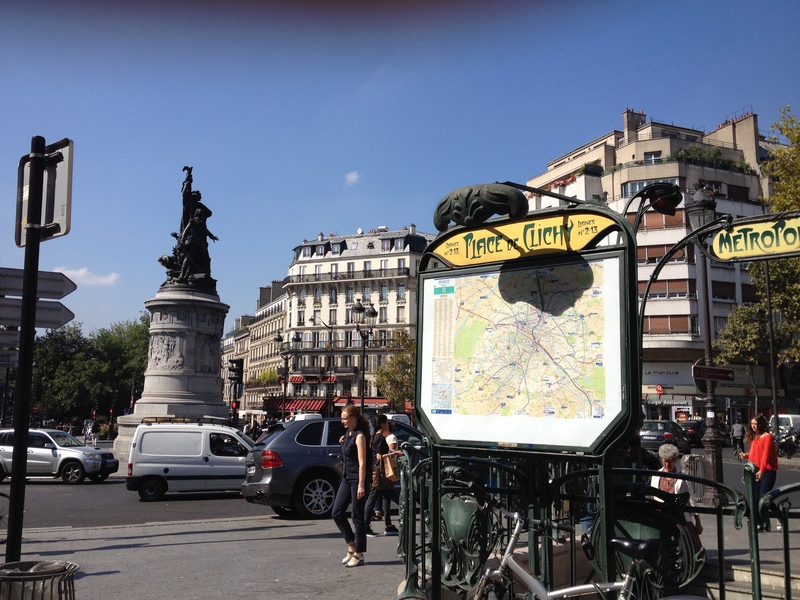 It’s just a short walk from Luxembourg Gardens or boulevard Raspail. The attraction between Eva and Picasso deepens, but Eva is shocked when Picasso is arrested in connection with the theft of the Mona Lisa. This set of events presents a nice little historical touchpoint for the story. 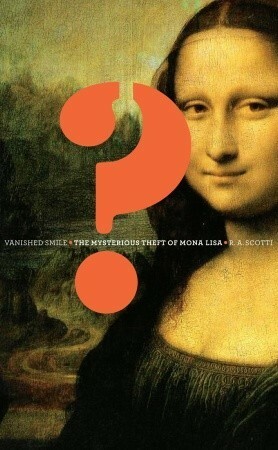 Most people have heard about the shocking theft of the Mona Lisa from the Louvre in 1911, but to see unfold from Eva’s point of view is really interesting. Picasso is eventually cleared of the charges and Eva surrenders to his persistent charms. What follows are beautiful scenes in which Picasso paints Eva in his Bateau-Lavoir studio. 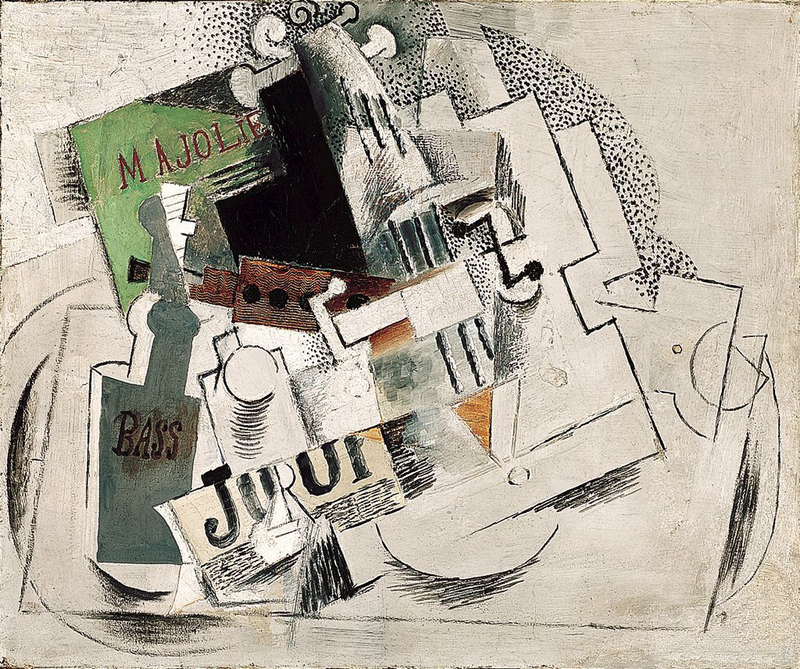 Anne Girard imagines the chemistry and energy that buzzed through Picasso’s studio, and bring this famous cubist painting of Eva (“Ma Jolie”) to life. Eva and Pablo spend a golden summer together in the south of France. 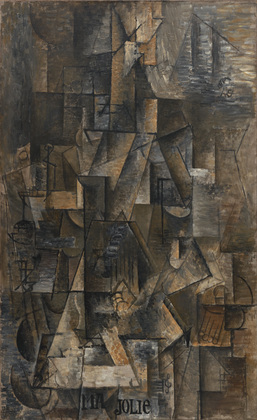 They stop in Cérete where Pablo meets up with Geroges Braque, and paints side-by-side with him in a large borrowed villa. Then Eva and Pablo move on to Avignon, where they run into Henri Matisse and his wife Amélie. They finally find a quiet villa in Sourges, where they spend the rest of their summer in inspired seclusion. 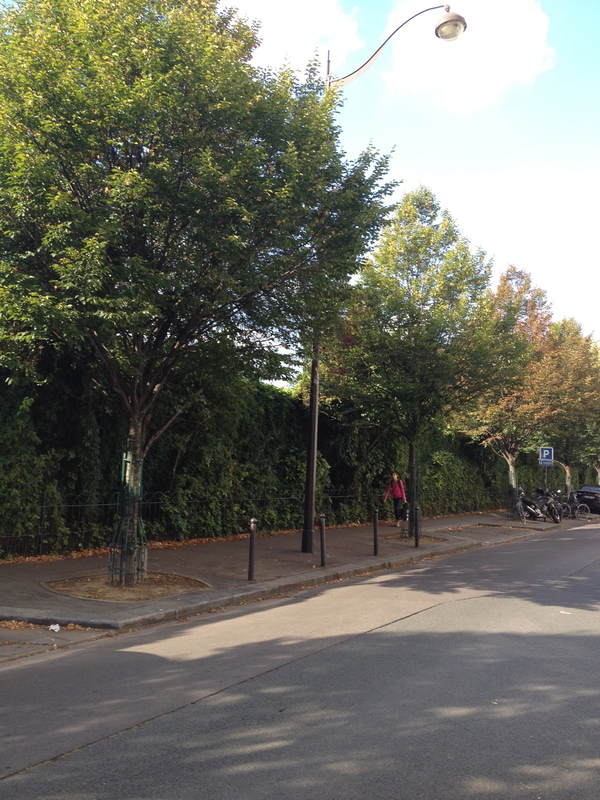 Eva and Pablo return to Paris as a committed couple and live at 242 boulevard Raspail. Eventually Eva finds them a beautiful well-lighted studio apartment at 5 rue Schoelcher, directly across from the Montparnasse Cemetery, where they lived from 1913 to 1915. The view down the lovely rue Schoelcher as it runs alongside the Montparnasse Cemetery. Pablo and Eva’s apartment actually overlooked the cemetery. 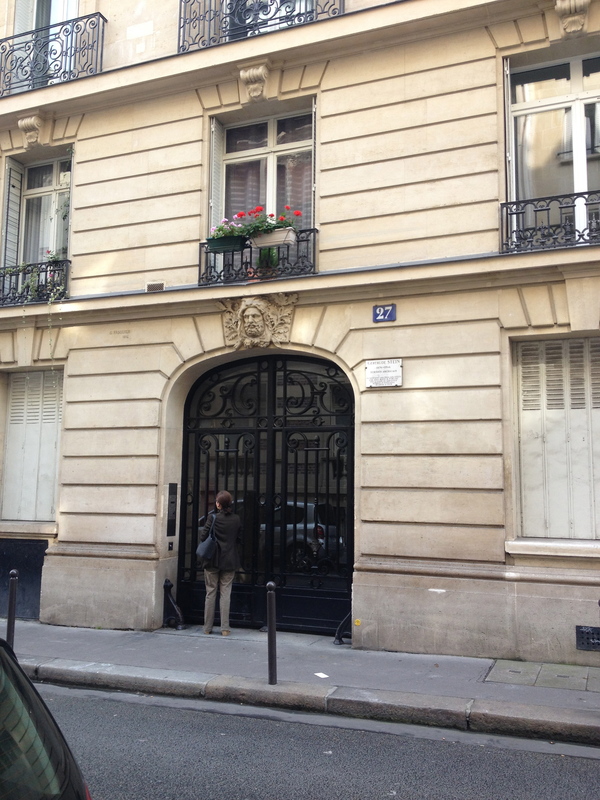 Picasso and Eva’s home at 5 rue Schoelcher, Paris. The most beautiful building on the block, still. 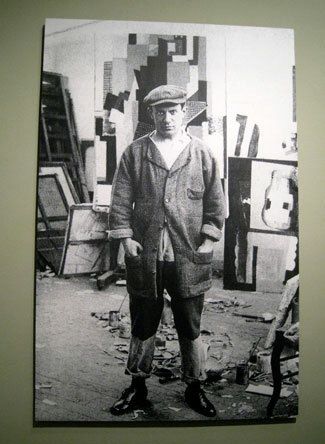 A photograph of Picasso in his rue Schoelcher studio 1915-16. Of course, everyone knows that Eva only survived until 1915. Picasso could barely step foot in the rue Schoelcher studio again. 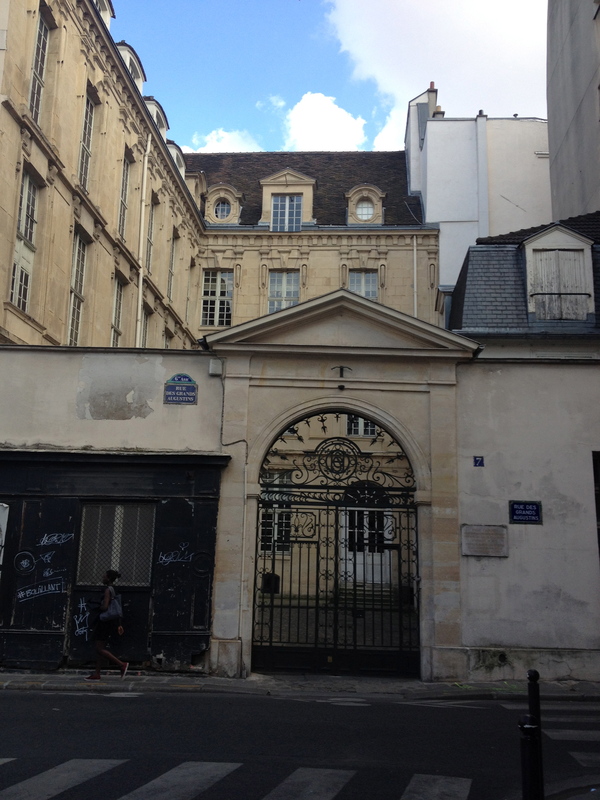 It was hard to leave Eva behind, but I couldn’t finish my Madame Picasso Walk through Paris unless I stopped at what might be Picasso’s most famous studio on rue Des Grand Augustins in the 6th arrondissement. 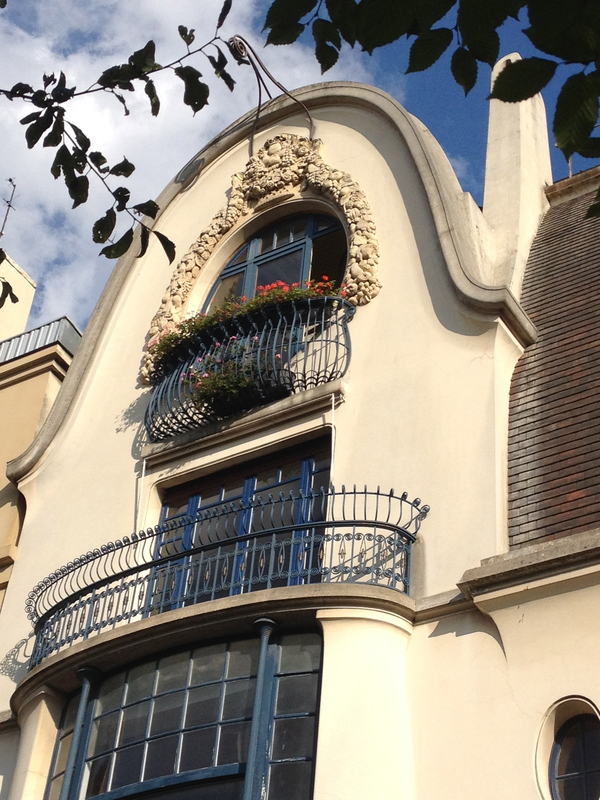 It was where Picasso lived from 1936 to 1955, and where painted he Guernica in 1937. After a long day walking the streets of Paris in Eva and Pablo’s shoes, you are no doubt in need of liquid reinforcement at a sidewalk café. 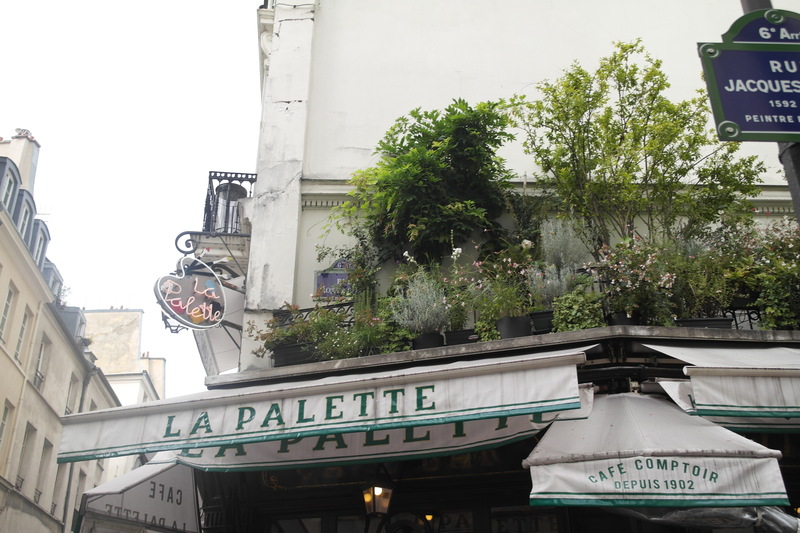 I recommend you stop in for a glass of wine at Café La Palette on rue de Seine in the 6th, not too far away from Picasso’s studio on rue des Grand Augustins. In fact, the café boasts that Picasso used to frequent there back in the day. And while you’re there, you can think of Picasso and Cézanne and Braque and all the other artists who drank there, but also? 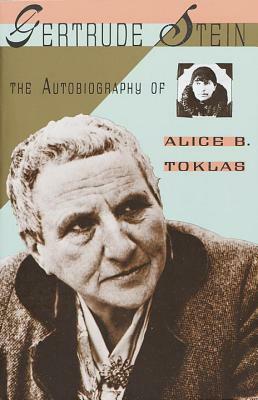 Make a toast to Eva, and to Anne Girard, for bringing Eva out of the shadows of history. This entry was posted in Art and Artists, Art History, Art History France, Art History Site, Book Review, Paris Books and tagged Anne Girard, Art history books, Eva Gouel, Footsteps of Picasso, Madame Picasso, Pablo Picasso, Paris books by americangirlsartclubinparis. Bookmark the permalink. 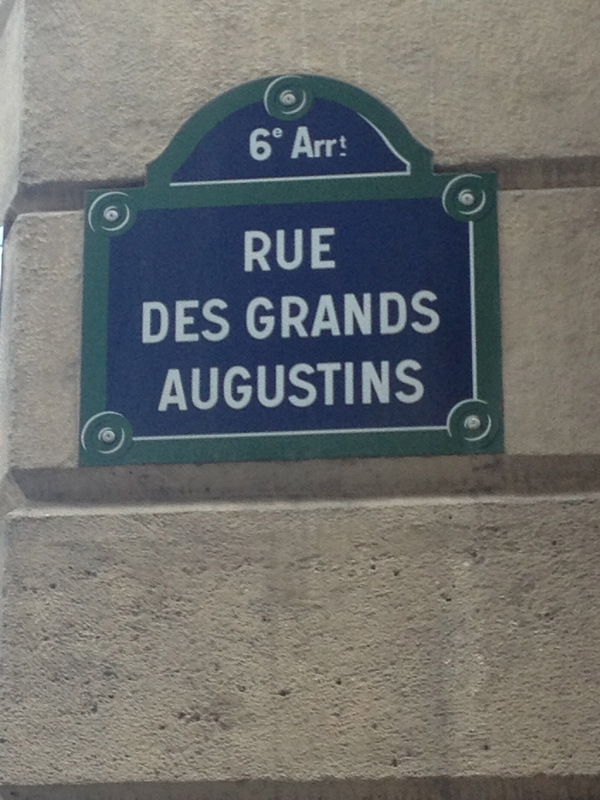 interesting story and Paris Walk….Madame Picasso…by Anna Gerard….. 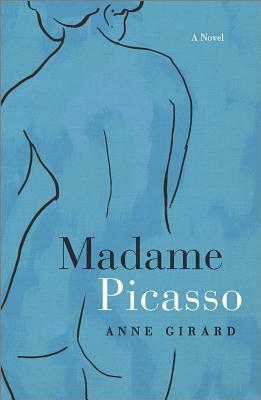 I love the review above of Madame Picasso by my colleague Anne Girard. You mention in a tweet that you would love to review my new novel, Lisette’s List, set in Paris and Provence. To obtain a review copy, please contact Christine Mykityshyn, Publicist, at Random House, cmykityshyn@penguinrandomhouse.com. My website, susanvreeland.com, has a wealth of images that you can download. Great post. I am just joining the Paris party having read Anne Girard’s small masterpiece. Was it ever translated into French? I was looking for that cover.